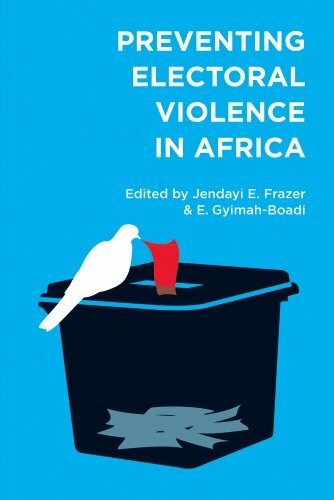 Product Description: Essays and speeches discussing how to prevent electoral violence in Africa collected during the March 2010 Conference on Preventing Electoral Violence and Instituting Good Governance in Sub-Saharan Africa. 9780887485534 | Carnegie Mellon Univ Pr, September 8, 2011, cover price $16.95 | About this edition: Essays and speeches discussing how to prevent electoral violence in Africa collected during the March 2010 Conference on Preventing Electoral Violence and Instituting Good Governance in Sub-Saharan Africa. 9780521841917 | Cambridge Univ Pr, September 27, 2004, cover price $105.00 | About this edition: Based on the Afrobarometer, a survey research project, this examination of public opinion in sub-Saharan Africa reveals what ordinary Africans think about democracy and market reforms, subjects on which almost nothing is otherwise known. 9780521602914 | Cambridge Univ Pr, September 30, 2004, cover price $49.99 | About this edition: Based on the Afrobarometer, a survey research project, this examination of public opinion in sub-Saharan Africa reveals what ordinary Africans think about democracy and market reforms, subjects on which almost nothing is otherwise known. 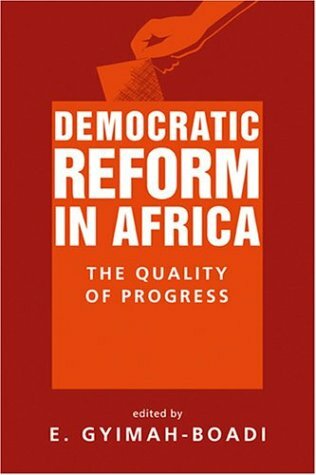 9781588262219 | Lynne Rienner Pub, May 1, 2004, cover price $59.95 | About this edition: After more than a decade of reform efforts in Africa, much of the optimism over the continent's prospects has been replaced by widespread "Afropessimism. 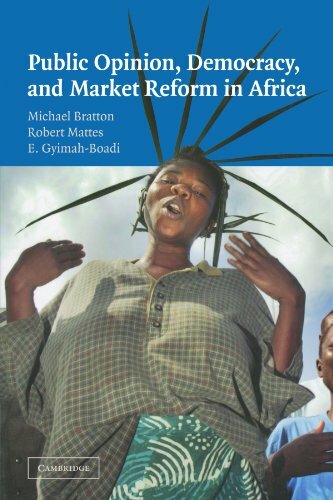 9781588262462 | Lynne Rienner Pub, June 30, 2004, cover price $24.50 | About this edition: Suggesting that optimistic cries of an "African Renaissance" in the latter half of the 1990s may have been a bit overstated, Gyimah-Boadi (political science, U.